What Does It Mean for My Electric System to be “Up to Code”? You have probably heard the phrase “up to code” used before to refer to homes and businesses. Sometimes this applies to building construction, or to the hygiene standards for food service companies. But it can also refer to the electrical system, and this “code” is important for homes and well as commercial buildings. But what exactly does it mean? What is this electrical code and how can you keep your house up to its requirements? The second part is quicker to answer: to make sure that your home is up to the electrical code, rely on licensed professional electricians only when it’s time for electrical repair in Farmington, CT. At Electrical Connection, Inc., we know exactly what is necessary to keep homes (and businesses) up to code so they remain safe and their electrical systems operate at their best. 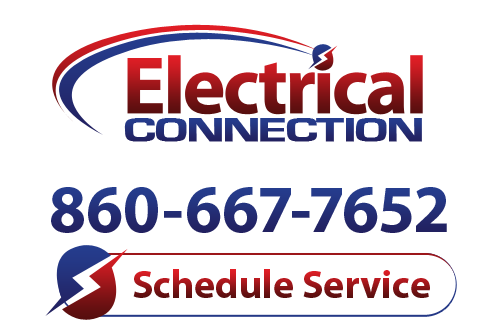 If you need any electrical repairs or if you have concerns about electrical safety in your home, give us a call right away to schedule service. What it means “to be up to code” is difficult to answer in a straightforward way because the code is different from one place to another. The National Electrical Code is a set of standard for the safe installation and repair of electrical wiring. However, it is not part of federal law. It instead serves as a guideline for each jurisdiction, such as a city, state, or other municipality, to develop its own version of the code as part of local laws. A jurisdiction can accept the code in whole, in part, adapt it as it sees fit, or even reject the code entirely for a different set of standards. The code receives annual updates. In practice, this means that you won’t know the specific application of the code for your area. But your local professional electricians will. Keeping up with the code is a major part of their job. This is why it is so important to hire only licensed and trained electricians for any electrical repairs in your house. These electricians will know how to keep all repairs within the standards of the code as applied in the area and maintain a high level of safety. You can rely on Electrical Connection, Inc. for the electrical repair in Farmington, CT that will keep your house “up to code” and your family safe. We are a Licensed SBE Contractor with the State of Connecticut, so you know that the work you receive from us will live up to the highest standards. Call us for any electrical installation, repair, or inspection work you require. If you are looking for an electrician in Connecticut, please call Electrical Connection at 860-667-7652 or fill out our online request form. Hi Scott, I wanted to enthusiastically write to you to commend your guys, Matt and Frank, for doing an absolutely superior job on my fixtures install this morning (Timber Oak community in Danbury). The guys just left a few minutes ago, and I was so pleased with the experience, I wanted to write to you ASAP. Electrical Connection installed a transfer switch for our generator last year when other companies would not even return our calls. The work was professional, friendly and efficient. I liked the customer service rep. She was so friendly and happy to help. The electrician was very up front about costs and also was very good at explaining problems. Arrives within the time frame given. Work was done professionally and multiple options were given for how it will be completed. I had a large tree branch fall on to the wires from my house to the pole on the street... Within 45 minutes of calling Electrical Connection, I had a service technician at my house.